The Frank MacDonald Memorial Prize is now open for 2019 to all Year 9 students and home-schooled students at the same year level. Successful students will travel to France and Belgium in April/ May 2020. This year, the Information Pack and Entry Forms are all in a digital format. 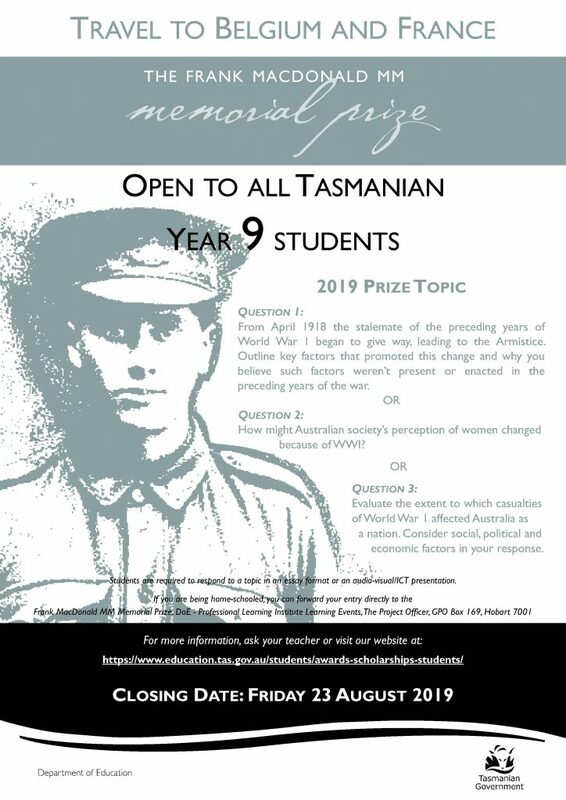 It is hoped that all students in Year 9 will have access to the information and are encouraged to enter this prestigious prize as part of their access to and participation in the Year 9 History Curriculum. Entries may be in essay format or audio- visual/ ICT format. This page was last updated on March 20, 2019 .